Lyft has been thrown back into the spotlight after its disappointing IPO performance thanks to a number of complaints about the braking systems on several thousand of its electric bicycles. Ouch! Riders had reportedly experienced stronger than expected braking force on the front wheel of the bikes, increasing the risk of going over the handlebars. 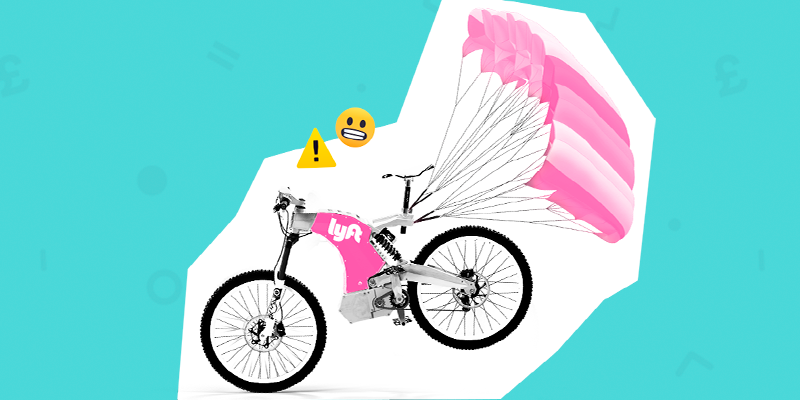 Lyft assured investors that there were very few incidents and the 3,000 bicycle recall was simply made out of “an abundance of caution”. Bike share brand, Citi Bike, Capital Bikeshare and Ford GoBike, have all been affected by the recall, leaving areas of New York and Washington D.C. in the dark until Lyft releases its fleet again. Beware the angry power-walking New Yorkers! Lyft has plummeted a whopping 25.60% since its over-hyped IPO at the start of the month as investors punished the company that has yet to see a single cent in profit. Analysts are still unsure how they feel about the company that came to market with a valuation north of $20bn and almost $911 million in debt. Many big name investment houses have slapped Lyft with hold ratings and price targets ranging from as low as $42 to some as high as $71. For now the jury is out on the matter, but the majority of sentiment remains with the bears.